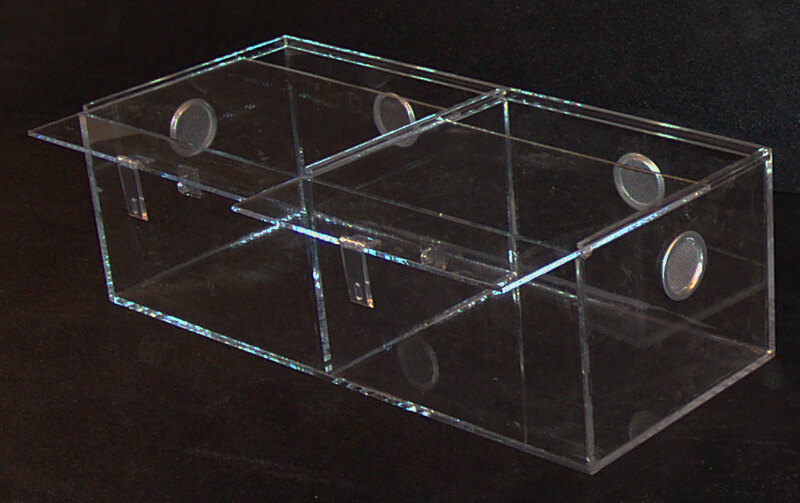 Medium sized Terrestrial Cage built for ground or cave dwelling arachnids and made entirely out of acrylic for a crystal clear view. When considering accomodation for your spider, little space is needed. They aren't social animals, so keep them in separate tanks if you plan to buy more than one. Has two easy to use sliding doors on top with two lockable hinges. Also comes with 4 air vents that are 2" in diameter to allow for adequate airflow without an air-tunneling affect.